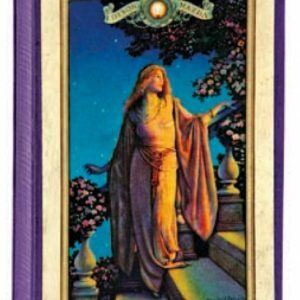 Early cardboard 2-ps. 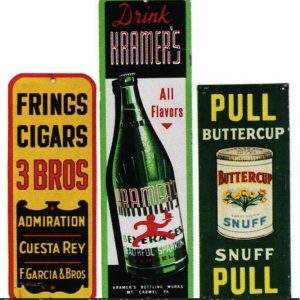 store display box for Adams Tutti Frutti chewing gum, w/ very attractive color label on outside and a fancy glass lift-up lid on inside for protecting packs (originally held 36 packages). SKU: 82-45. 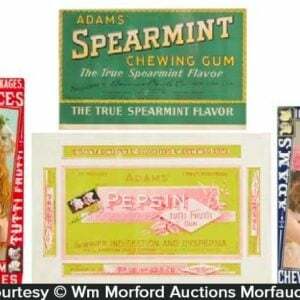 Categories: Boxes and Crates, Store Displays, Vintage Gum. 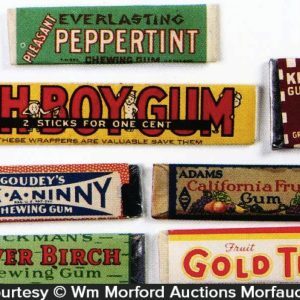 Company/Brand: Adams Gum. 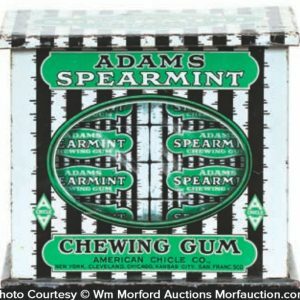 Adams Tutti Frutti Gum Box: Early cardboard 2-ps. 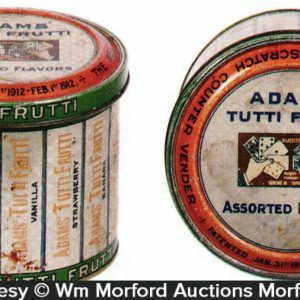 store display box for Adams Tutti Frutti chewing gum, w/ very attractive color label on outside and a fancy glass lift-up lid on inside for protecting packs (originally held 36 packages). Clean, bright and very attractive (C. 8+).